I’ve been going to church since I was a child and as I sit back and think of each one, I can identify a culture for each experience. Some experiences were warm and inviting, and some were dominating and intimidating. I learned at each one, but reflecting on it has me thinking… how many church leaders consider their church culture before planting their church? When called to serve God as a leader (and I think we are all called to serve, as it says in Romans 12) the preparation is a bit different than other roles of servitude. There is so much to think about! 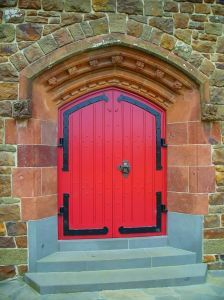 I hope this post helps you to get a clearly defined goal towards your church culture so that you can stay on track with building your wing of the kingdom in the most excellent way. Do you have a clear tone of voice? Do you speak conversationally or formally in your teaching? Does your church have a clear name? It may seem like a silly question, but I was a member of a church once and didn’t quite know the name of it. On the books, legally, it was called one thing, and in life application it was called something completely different. The names weren’t even closely related. This caused confusion and angst when it was time to write a check for tithes because the name that everyone called the church was different from the name that needed to go on the check. Leadership at this church thought the more casual name promoted the culture and values of the church more, but didn’t take it one step further to make it stick legally across the board. And when it comes to church environment what is yours like? My husband and I currently attend different churches, and for very obvious reasons. I like structure and he likes things loose. I like sermons and he likes group discussion. We both like a casual atmosphere. We both serve at our churches each week. Both of our churches have coffee, tea, juice and bagels, etc. which are available to eat DURING the service. This would have been a big no-no in some of the churches I grew up in. It’s one that makes me and others feel warm and welcomed, and breaks the intimidation that some feel when entering a church. For some people, this would make them feel less reverent towards Christ. Different ways to serve different people where they’re at… do you see what I mean? Understanding and clearly defining your church’s culture is a key step in expanding your ministry. It alleviates any confusion people may have about who your church is and where you stand, and that helps them to do what really matters, which is come in, become a part of the community, and deepen their relationship with God. Once you’ve identified your church culture write it down. Put it in a manual and post it on your website. In our age of new media it’ll become a great tool of evangelism for you. You are an inspiring brand expert. I just love branding because it makes sense and I find it to be such a bigger picture. And, wow, Church branding….great post!